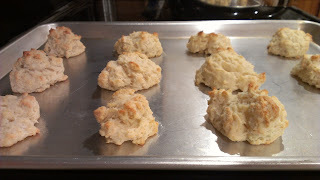 I have tried different biscuit recipes looking for the perfect one. My parents had a biscuit recipe, then they started using bisquick. For some reason I started thinking this was the norm. 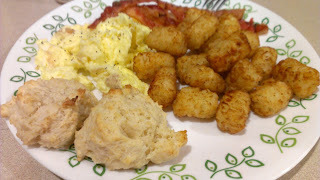 After a while, I stopped seeing the point in using bisquick when biscuits from scratch are so good and not that much harder to make. Even so, I have been searching for the "perfect" recipe. I finally found it! This recipe is so much better than all the others I have tried. The first time I made these, we were in love! 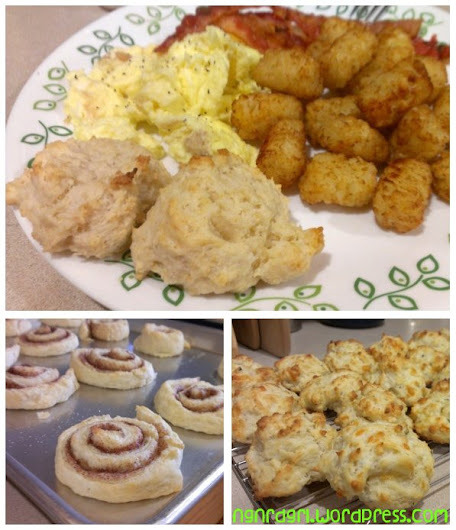 I then used this as a base recipe and made cinnamon rolls and then garlic and cheese biscuits. 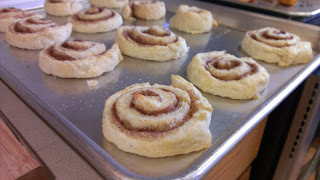 My mom always used to make us cinnamon roll biscuits growing up. The garlic and cheese recipe is divine and a perfect complement to dinner. Here’s the ingredients and directions for the base recipe. Scroll down for more detailed directions with pictures and scroll further for the alternate recipes. 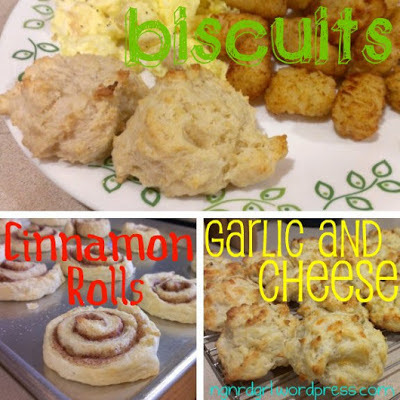 Don't forget to either pin this recipe to Pinterest for future reference or clip it to your Evernote digital cookbook! 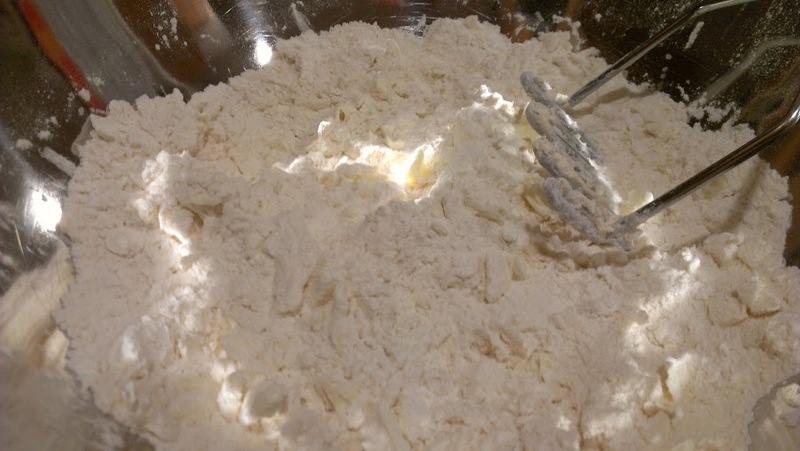 Mix flour, baking powder, salt, and sugar in a bowl. Cut in the cold butter with a knife or pastry blender until the mixture resembles coarse crumbs. Add milk in a little at a time, stirring lightly between additions. Dough should sticky. Bake for 12 to 15 minutes, until the tops are golden. 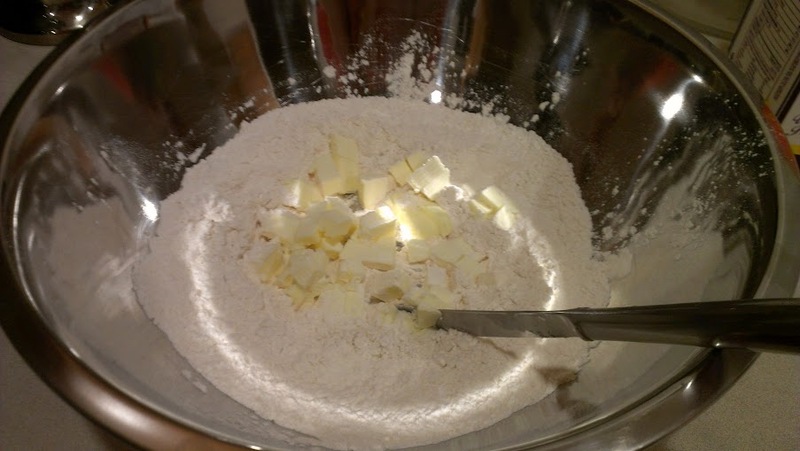 Ingredients for Biscuits: white flour, baking powder, salt, white sugar, chilled butter and half and half. See my Nexus7? 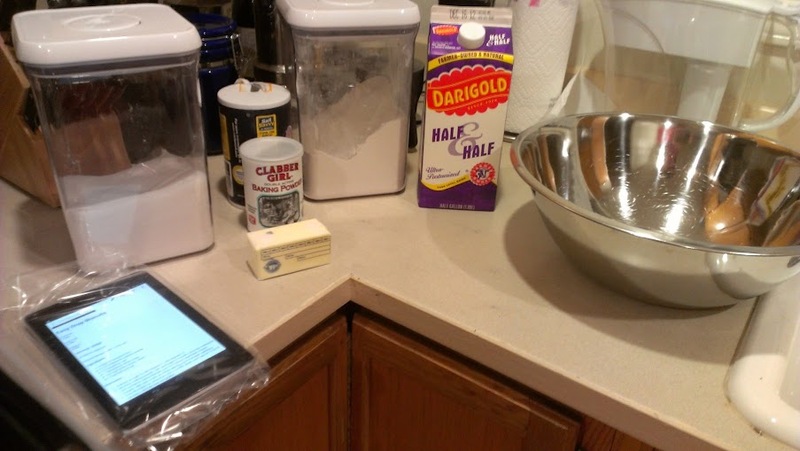 I use Evernote to store my recipes! I use a Ziploc bag in the kitchen to protect it from getting messy. Preheat oven to 350 Degrees Fahrenheit. Cut in chilled butter. Having it chilled is key. I take a knife and cut it into cubes before putting into my flour mixture. I then cut it into smaller cubes. 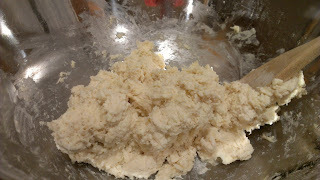 I use a potato masher to crush the butter until it resembles coarse crumbs. Add half and half a little at a time until dough is sticky and there is no more visible dry ingredients to soak up milk. Do not put more half and half in than necessary. Drop batter by spoon fulls onto the baking sheet. Bake 12-15 minutes, until tops are golden. I have found 14 minutes is usually perfect. 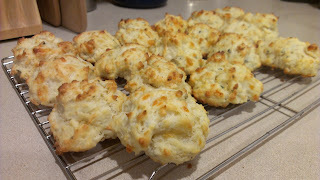 The original recipe comes from Easy Baking Powder Drop Biscuits on allrecipes.com. I changed the 1-1/4 cup milk to 1 cup of half and half. I typically don't have milk in the house unless the kiddo is staying with us, but I always have half and half. I tend to substitute half and half in most of my recipes. I don't know if the half and half made this better or not but it turned out great! Comments in the original recipe said that the dough was too runny, but I know from experience when you want to stop putting milk in. 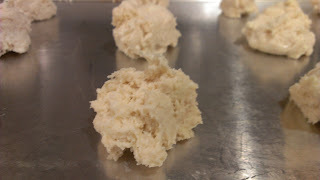 You want to stop right when the dough gets all sticky and there is no more visible dry ingredients to soak up the milk. I have found this to be around 1 cup of half and half for this recipe. You can choose to roll the biscuit dough out on a lightly floured surface and use fluted, round cookie cutter to make round, flat-topped biscuits. I generally prefer drop biscuits because they are easier to prep and the uneven top gets all crispy. This recipe is a great base for other recipes. Here are two alternates for you to try that are also super yummy! Start with the ingredients and directions for the dough above. Set dough aside. Mix 1/4 cup of white sugar and 1 teaspoon of ground cinnamon in a small bowel. 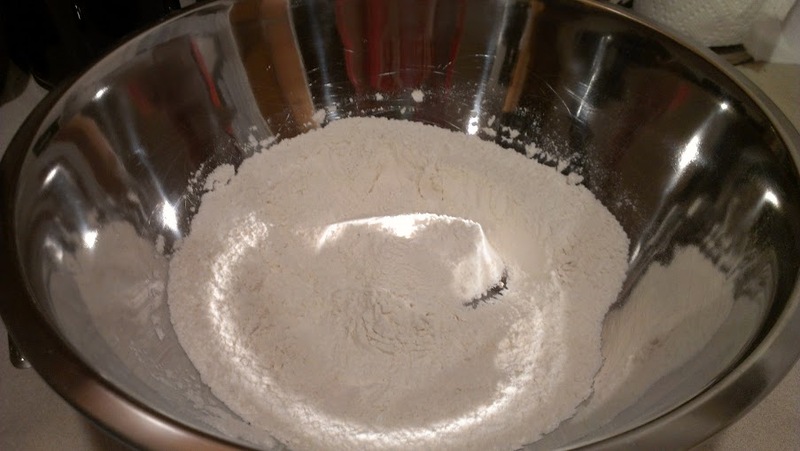 Turn onto a lightly floured surface; knead gently 8 to 10 times. Roll into an 11-in. x 8-in. rectangle about 1/2 in. thick. Spread room temperature butter over dough. Sprinkle cinnamon/sugar mix over butter. Roll up jelly roll style, starting with long edge. Cut into 12 equal slices. Place with cut side down on a baking sheet. Bake at 450 degrees F for 8-10 minutes or until golden brown. Cool for 5 minutes. Start with the ingredients and directions for the dough above. Add garlic powder, parsley flakes and cheese. Bake for 12-15 minutes (I generally do 14 minutes). The cheese makes them come out a bit crispy, but I like them that way. My fiancé tried these and exclaimed, "OMG! These are the best biscuits you have ever made!" Do you have a favorite base recipe that you use to make fun recipes? Share with us in the comments! Those cinnamon biscuits look mouth-watering.... I usually just make mine using the pre-made dough from the tube, but I bet that these are even more tasty - - it'd be worth the time and effort. Might have to try this one myself! Thanks for sharing your tips and tricks with us. I love, love cheese & garlic biscuits .. I am so NOT a good baker (I burn almost everything) but I think I can actually manage these. thanks for the recipes & tips and will let you know how they turn out. I'm usually a Bisquik girl, but i just might have to give these a try! You should! I'm a convert. 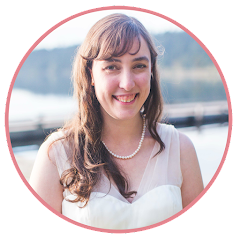 Today I'm stopping by from the Freedom Friday link up. There's nothing better than biscuits! When I was pregnant with my first, I had them for dinner every night (and gained 40lbs! lol) Thanks for sharing these! I'm following you on Twitter now. I'll take mine with cinnamon, please!